High quality knife made by Muela Knives in Spain. 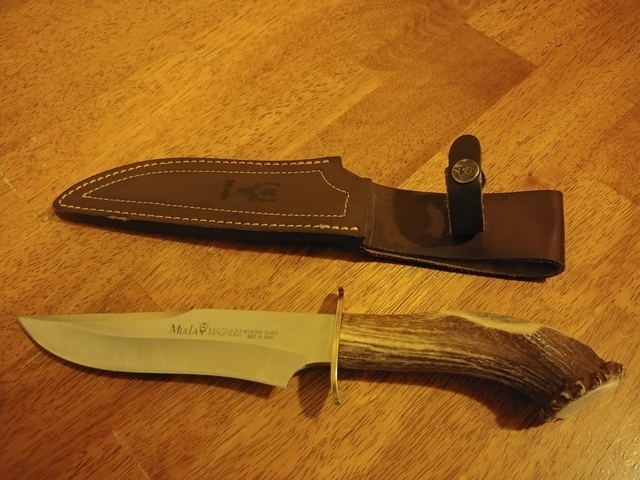 This knife has a 6 3/4 inch blade, authentic antler handle and comes with a quality leather sheath. It has see some light use with some minor scratches on the blade but is in great condition. These are selling for around $180 new. Asking $125.